Italian pack fail: The Azzurri are known for the power in their pack, but how did it go so wrong against Wales? WALES’ GAME plan was executed perfectly in Rome – their territorially driven ‘kick chase’ was mightily effective in the soggy Stadio Olimpico. Dan Biggar and Leigh Halfpenny were instrumental throughout the whole game. Biggar’s array of wiper kicks combined with Halfpenny’s high balls and deep clearances kept Italy pinned in their own half for large swathes of the game. Wales restricted the Italians to just six meaningful visits into the Welsh 22 – two of which resulted in poor snap drop goal attempts. 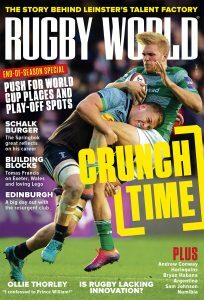 Of course there will be those, particularly more casual fans, who bemoan the fact that Wales didn’t play in the wider channels. But the weather simply didn’t allow it – especially in the first half. There will also be those who question Jamie Robert’s role. Admittedly, he didn’t make much of an offensive impact, but that was deliberate. If you require justification of Jamie Roberts’ role in Rome simply take a look at which player led every single kick chase for 70 minutes – without a good chase it’s a bad kick. Wales’ defensive line against Italy was impressive. They had a tackle completion of 95% making 132 and missing just seven – as a comparison, the All Blacks have only managed to complete 95% of their tackles once in their last 14 test matches. Whilst the whole Welsh team tackled well, it was Ryan Jones who stood out – making 16 and missing just one. Jones is often described as ‘leading from the front’ – on Saturday this was literally the case with regards to the defensive line. Jones dictated where the tackle line was. The perceived wisdom is that the tackle line is drawn along the back foot of the set piece/ruck etc – in Rome Jones regularly nudged the tackle line back two or three yards. Jones, along with the rest of the Welsh eight, made it very difficult for Italy to get over the gain line. I swear even Parisse would have struggled – which is apt. Prop forwards are often portrayed as monosyllabic characters with a thick skin. However the criticism of the Welsh scrum in France was clearly taken to heart by Adam Jones and Gethin Jenkins. The Welsh scrum was monumental in Rome. The victory at scrum-time was made even more significant by the importance placed on that particular set piece by the Italian players and their coaching staff. However, as important as psychological wins are, it’s the more quantifiable measures that matter most and in that regard Wales dominated. Wales were 100% at the scrum – winning 12, losing none and forcing five penalties. The continued bullying of the Italian front three eventually led to Martin Castrogiovanni being sin binned in the 58th minute with Alex Cuthbert scoring two minutes later. ‘Castro’ looked dismayed by his yellow card, but it was justified – his body popped in the scrum so many times that he looked like he was auditioning for an 80’s hip-hop video. A lot of emphasis has been placed on the importance of team captains in recent weeks – particularly in Wales. But Leigh Halfpenny’s performance against Italy shows that you don’t need an armband or title in order to be the fulcrum of the team. Halfpenny’s levels of reliability are beginning to put him in the same bracket as the very best in the world. Halfpenny’s goal kicking is genuinely world class, his completion rate rarely falls below 80%, so too is his tackling and his technique under the high ball ranks alongside Rob Kearney and Israel Dagg. Halfpenny is undoubtedly the first name on the Welsh team sheet and if you think that he won’t be one of the first names on the Lions team sheet, you’re in for a massive shock. 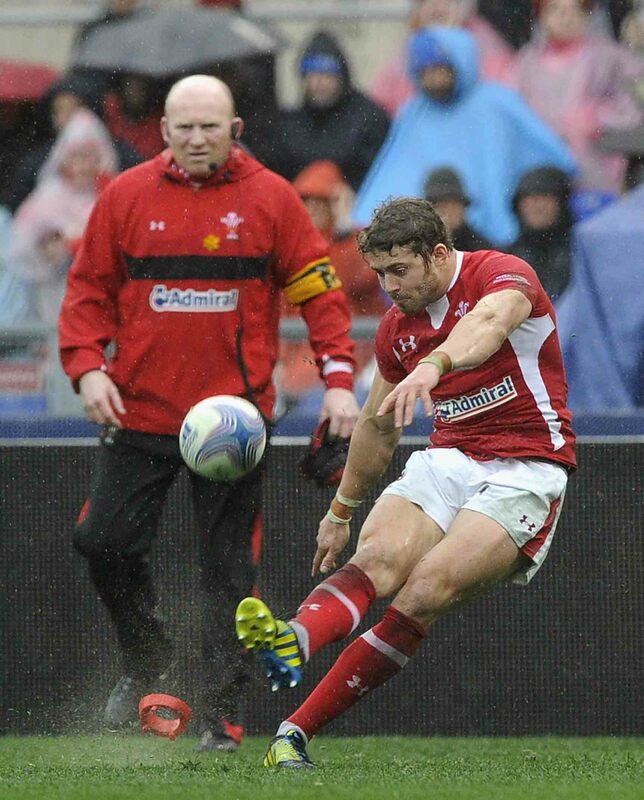 Despite having a near perfect game against Italy, Leigh Halfpenny fell foul of the low trajectory clearance kick. Against Ireland and France Dan Biggar did the same thing. It was just a matter of good fortune that Wales didn’t concede a try. The switch in modern line-kicking from a ‘spiral’ ball flight to an ‘end on end’ ball flight often lowers the ball’s trajectory and can decrease its speed through the air– increasing the likelihood of a charge down. A simple fingertip on the ball from the opposition means that everyone is played onside and a poorly defended try line awaits. Ball flight may seem like a minor detail; but at some point it could have a major impact on the result for Wales.